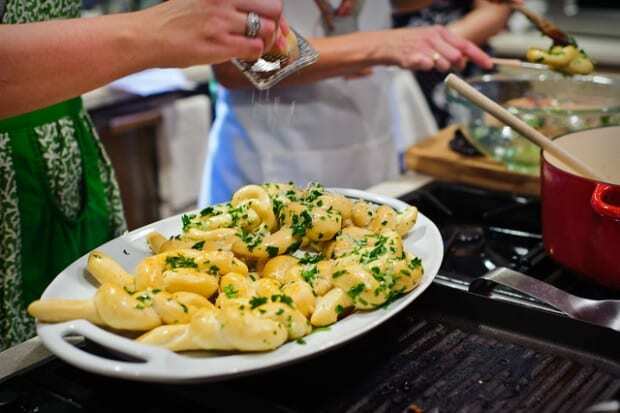 Garlic knots are the perfect addition to any Italian meal. In my world, garlic knots go well with anything. Bread and garlic, sign me up! 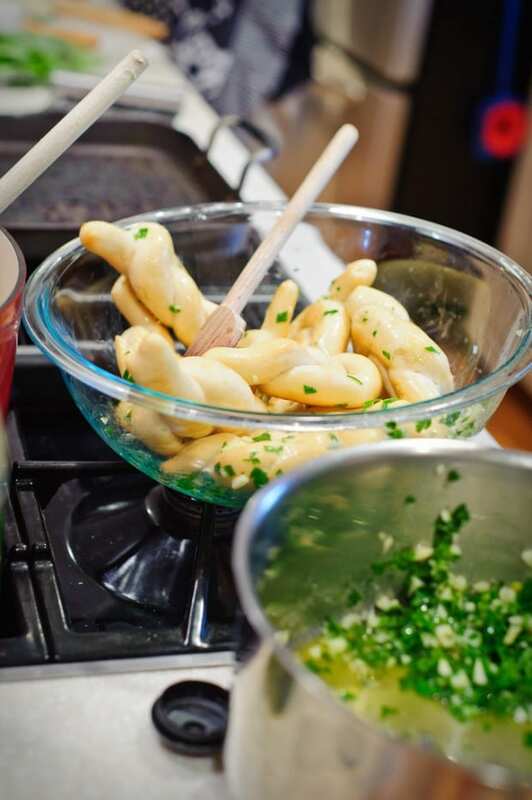 Aside from making the dough, garlic knots are easy to make. If you like making bread at home you can keep the dough on hand for any occasion. 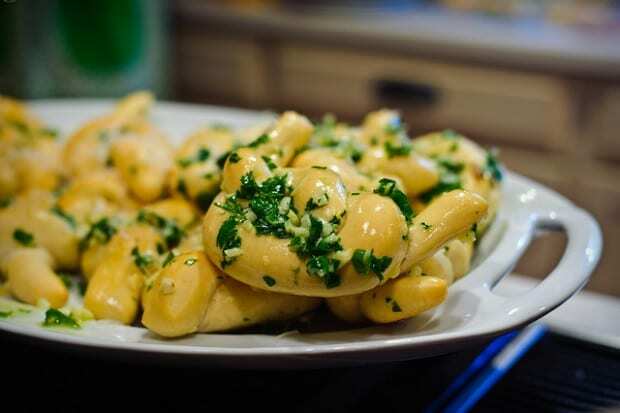 A simple toss in an olive oil, garlic, and parsley blend. Sprinkle a touch of seasoning salt on top for added flavors. Finish with some freshly grated parmesan cheese. Combine water, olive oil, sea salt, sugar, and active dry yeast in a large bowl. Cover the bowl with plastic wrap or a lint free towel and set in a warm spot to proof until doubled in size. At this point, you can refrigerate the dough for a few days if you want to make it ahead of time or go ahead and begin making the knots. Divide the dough in two balls to make it easier to handle. Roll the dough into a rectangle about 5″x16″ and 1/2 inch thick. Using a pizza cutter or sharp knife, cut the rectangle into 1/2″x5″ strips. With floured hands, roll each strip back and forth to create a rope. Tie into a knot–over, under, and through – and place on sheet pan lined with a silpat or parchment paper. 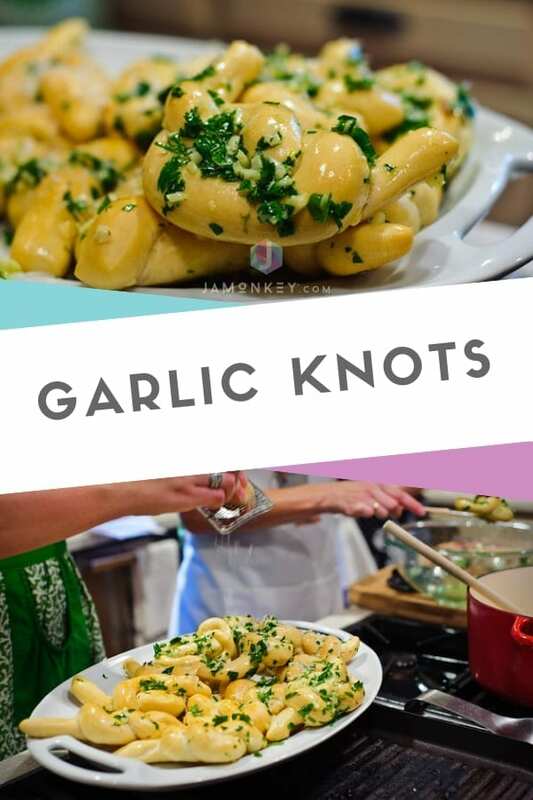 While knots are baking, make garlic coating. Gently warm olive oil, butter, and garlic in a small saucepan. Add chopped parsley and set aside. 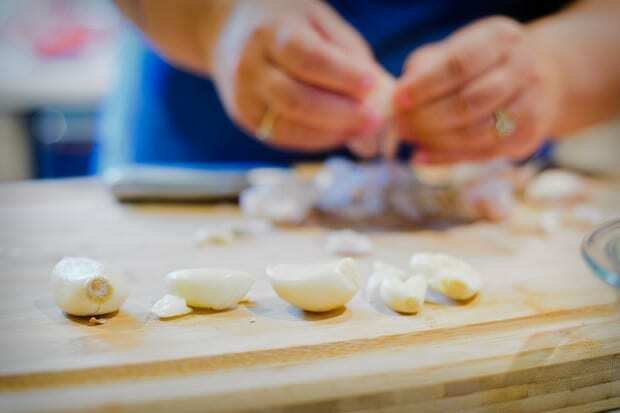 Remove knots from oven, place in a large bowl and toss with garlic coating OR brush the coating on. 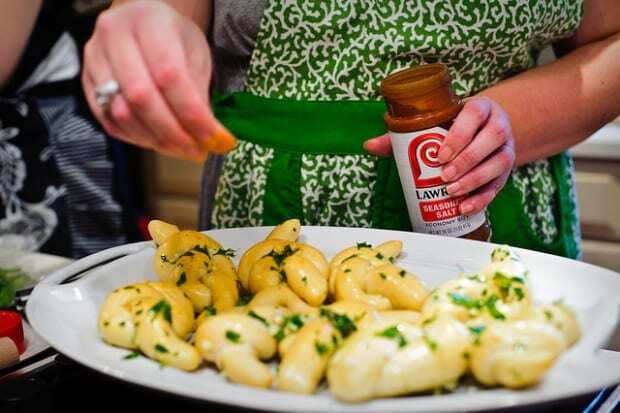 Season with Lawry’s Seasoned Salt to taste and freshly grated Parmigiano Reggiano.